Simpson London launches this week into 23 stores across Japan. Simpson London, handmade leather goods have long been much in demand from our Japanese retailers. Customers in Japan will be pleased to know that our products are being rolled out to even more stockists throughout the country this autumn. Isetan branches at Shinjuku, Mitsukoshi, Mitsukoshi Ginza and Nihombashi are currently carrying Simpson London. Department store Takashimaya branches at Yokohama, Nihombashi, Osaka, Nagoya, Kyoto and Shinjuku stores have a large selection in wallets in Bridle Hide. Diamaru in Nagoya Matsuzakaya, Kobe, Shinsaibashi, Kyoto, Tokyo, Osaka and Sapporo also have an extensive range of wallets . Find us too in Sogo Seibu in Ikebukuro, Yokohama, Kobe, Hiroshima and Shibuya. 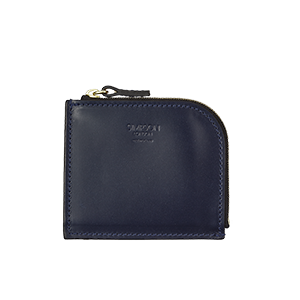 Finally, Jalux in Yarakucho is where you will find our Half Zip Wallet in Navy.